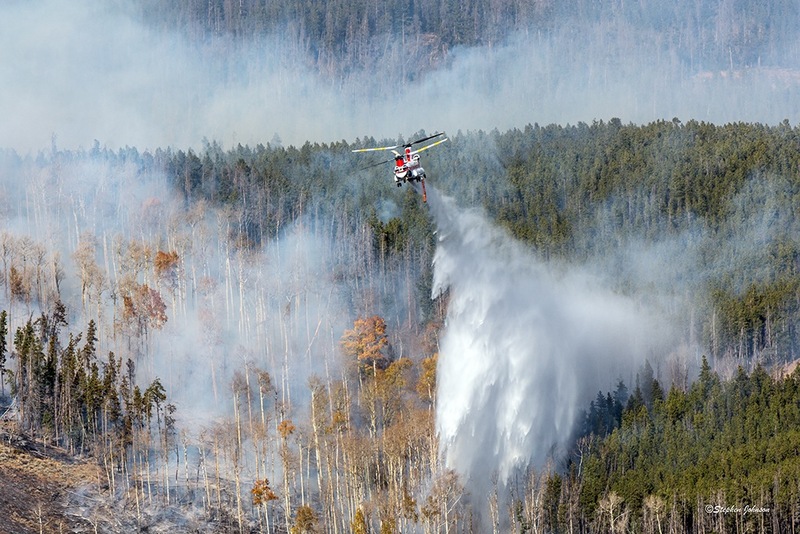 The Board of County Commissioners passed a resolution Wednesday afternoon to once again enact Stage 1 fire restrictions in recognition of warm, dry weather that has elevated fire danger in Summit County. Restrictions will go into effect at noon on Friday, Sept. 21. The U.S. Forest Service will also be enacting Stage 1 fire restrictions today in the White River National Forest, which includes the Dillon Ranger District. Fire danger in Summit County typically increases in late summer and early fall, persisting until there is permanent snow on the ground. Frost cures grasses and other fine fuels, causing them to dry out and turn brown. Meanwhile, monsoon rains patterns end, and humidity falls, further reducing fuel moisture. Over the next several weeks, fire districts, County officials and U.S. Forest Service personnel will continue to monitor conditions to determine when it is appropriate to lift fire restrictions. Stage 1 fire restrictions prohibit building, maintaining, attending or using an open fire. An open fire is defined as any outdoor fire, including but not limited to campfires, warming fires, bonfires or prescribed burns of any material. Smoking is prohibited, except in an enclosed vehicle or building, a developed recreation site or while stopped in an area at least 3 feet in diameter that is barren or cleared of all flammable material. Fires are allowed in constructed, permanent fire pits or fire grates within developed recreation sites, such as campgrounds and picnic areas. Also allowed are portable stoves and lanterns that use gas, jellied petroleum or pressurized liquid fuel, and fully enclosed sheepherder stoves with one-quarter-inch spark arrester screens. Under Stage 1 restrictions, chainsaw operators must use a properly functioning USDA or SAE approved spark arrester and have a chemical pressurized fire extinguisher and round-point shovel readily available for use. Any outdoor welding or operation of an acetylene or other torch with an open flame is prohibited, except in a cleared area with a diameter of at least 10 feet; a chemical pressurized fire extinguisher must be readily available for use. Stage 1 fire restrictions allow for the use of charcoal grills, gas grills and chimeneas on private property. Charcoal grills and barbecues are not allowed on U.S. Forest Service land, including campgrounds and picnic areas. Professional fireworks displays are allowed, if approved in advance by the County.